You Asked For It - Week 6 - "How Do I Overcome Addiction?" https://danriverchurch.org/wp-content/uploads/2017/08/YouAskedForIt_Web300.png 300 300 Joey Harris https://danriverchurch.org/wp-content/uploads/2016/06/drc-logo-300x138.jpg Joey Harris2017-09-24 09:15:322018-04-24 11:58:39You Asked For It - Week 6 - "How Do I Overcome Addiction?" You Asked For It - Week 5 - "How Do I Share the Gospel?" https://danriverchurch.org/wp-content/uploads/2017/08/YouAskedForIt_Web300.png 300 300 Joey Harris https://danriverchurch.org/wp-content/uploads/2016/06/drc-logo-300x138.jpg Joey Harris2017-09-17 11:00:332018-04-24 11:58:39You Asked For It - Week 5 - "How Do I Share the Gospel?" You Asked For It - Week 4 - "Is Forgiveness Really Possible?" https://danriverchurch.org/wp-content/uploads/2017/08/YouAskedForIt_Web300.png 300 300 Joey Harris https://danriverchurch.org/wp-content/uploads/2016/06/drc-logo-300x138.jpg Joey Harris2017-09-10 11:00:322018-04-24 11:58:40You Asked For It - Week 4 - "Is Forgiveness Really Possible?" You Asked For It - Week 3 - "What is Spiritual Warfare?" 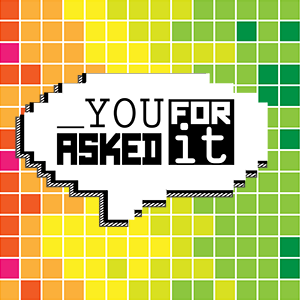 Join us this week as we continue our series "You Ask For It". Today we have a guest speaker, Matt Willmington and he answers your questions about Spiritual Warfare. What is it? How to recognize it? And how do we engage in it? https://danriverchurch.org/wp-content/uploads/2017/08/YouAskedForIt_Web300.png 300 300 Joey Harris https://danriverchurch.org/wp-content/uploads/2016/06/drc-logo-300x138.jpg Joey Harris2017-09-03 10:05:562017-10-08 17:03:13You Asked For It - Week 3 - "What is Spiritual Warfare?" You Asked For It - Week 2 - "Who is the Holy Spirit?" https://danriverchurch.org/wp-content/uploads/2017/08/YouAskedForIt_Web300.png 300 300 Joey Harris https://danriverchurch.org/wp-content/uploads/2016/06/drc-logo-300x138.jpg Joey Harris2017-08-27 11:00:222018-04-24 11:58:40You Asked For It - Week 2 - "Who is the Holy Spirit?" You Asked For It - Week 1 - "Where's God When I Need Him?" https://danriverchurch.org/wp-content/uploads/2017/08/YouAskedForIt_Web300.png 300 300 Joey Harris https://danriverchurch.org/wp-content/uploads/2016/06/drc-logo-300x138.jpg Joey Harris2017-08-20 11:00:122018-04-24 11:58:40You Asked For It - Week 1 - "Where's God When I Need Him?"